Dryer ventilation helps the appliance work more efficiently, creating suction to remove lint and airflow to dry clothes faster. Some dryer locations don't have easily accessible or installed ventilation. While an electric dryer doesn't require ventilation, its performance will be negatively affected, making it energy-inefficient, causing faster wear and potential overheating. Gas dryers require ventilation when installed indoors; failure to ventilate a gas dryer can lead to carbon monoxide buildup in the room. If you have no choice but to operate a dryer without venting, certain precautions should be taken each and every time. Open any windows and doors in the room where the dryer sits. A breeze can help keep the dryer cool during operation and help vent any fumes, such as carbon monoxide. Install a dryer lint trap to catch the lint expelled in the dry cycle to prevent fabric particles from increasing household allergens. Clean the internal lint screen and lint trap regularly. A buildup of lint is a fire hazard and reduces the effectiveness of the dryer. If your clothes are not drying in one cycle, check both areas for lint. Run a vent hose from the dryer to a window or door leading to the outside. 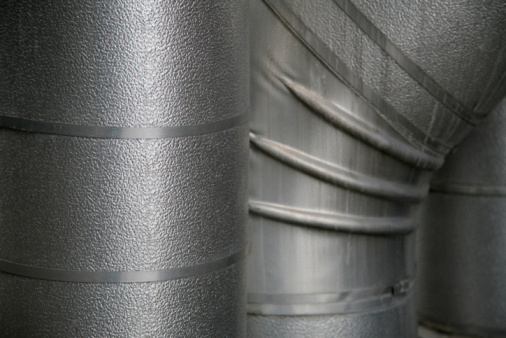 This doesn't need to be a permanent vent line but something you run with flexible aluminum vent hosing to send the heat, lint and fumes outside just when you are running the dry cycle.